Yesterday's photo was of the Xcel Energy smoke stack that has since been destroyed. The power plant has been converted to a greener form of energy, I'm still not sure what exactly. 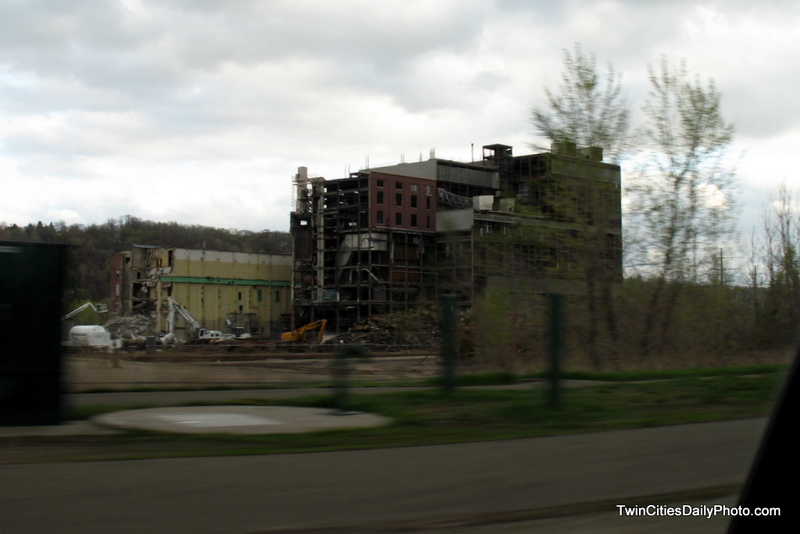 I drove by the old plant last week and snapped a photo between the trees during the tear down phase. I apologize for the crappy photo, but I didn't have time to stop for this one.